Many of the consumers would always ask why does the shipping fee cost much more than the product. Although this depends if your order is in bulk or a singular item. If you ship your products in a single item, then you’d definitely have much more shipping fee cost than you’re product bulk if it will be in a group then you can save. Below are the reasons why. This is a major factor in your shipping fee. If you have heavier product weight then you’d be having much most shipping fee. Although your product is as small as a Christmas ball, the packaging also matters. The packaging will be counted as well. There are a lot of ways to ship your product, whether it be according to land, sea or air, or according to time. the lesser the time your item will be delivered, the more expensive the shipping fee costs. The area the product will be sent to is also calculated, whether it be international, local or just around the corner. The farther the area, the much more shipping fee will be paid. Because of the growth of the business field, competitive delivery companies are popping all over the market and they offer a variety of options for the marketer’s usage. Listed below are the main shipping companies in Domestic Australia. They branched their delivery into rush delivery and standard delivery. 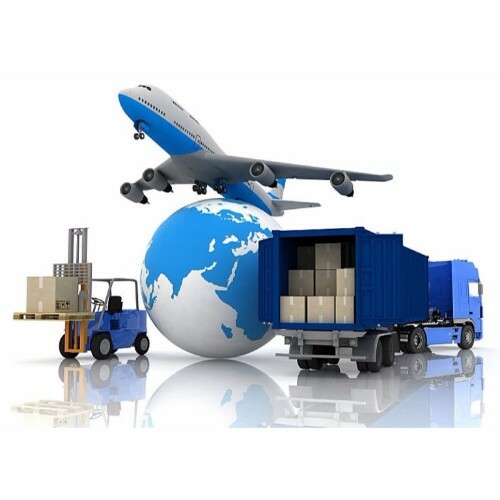 They collaborate with international shipping companies for a wide delivery network. You can choose whatever you prefer on their various options on how you want to deliver your product. It offers return shipping services. Offers easy shipping process. You can calculate your shipping costs, you can do the process online. International trading made easy. All global requirements will be fulfilled easily. The express partnership will help your eCommerce business through discounts and special services to benefit your company. You can easily learn about other countries, how to trade internationally and learn about the international customs requirements. You can do the process online. You can track your products through their Web Integration Wizard. You can create shipping labels and can manage your shipments for everyday use with their software solution. They offer FedEx Electronic Trade Documents for you custom documentation. You can save money through FedEx alliances that offer discounts. The ideal choice for small to medium-sized business, why? With online parcel track and trace facilities. Australia’s largest rail freight operator, moving coal, iron ore, agricultural freight and more across the nation. Utilizes specialized equipment to support a reduction in transportation costs, such as balloon loops and specialized wagons for quality services. Innovative and sustainable, the business gives you skills with career progression in mind. Provides supply chain solutions to leading companies across the Asia Pacific. One of the largest privately owned logistics companies in Australia. The holding company of Brambles Group. Listed as Australian Securities Exchange. Provides quality express road freight and 3pl logistics solutions to businesses throughout Australia. Provides high value, low-cost services for consumers within road freight distribution and movement of goods. The first company to place barcode scanning at the front of their services. The end-to-end service such as warehousing, inventory management, order picking, assembly and consolidation gives the clients cost and efficient savings. But because of the growing competitive companies within the e-commerce business field, then make sure you prioritize fast delivery rather than free delivery. But be sure to tell your consumers the honest statement on the terms of the delivery and the rate. But there are some certain circumstances that are unavoidable. Make sure to offer your consumer an apology and compromise and plan your shipping strategies for those unavoidable issues.